Print this quiz, complete it, and bring it to the next puppy meeting in order to become a certified puppy sitter. 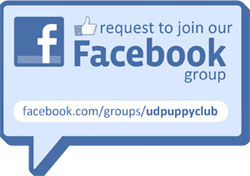 You must earn at least 300 points in order to be eligible to raise a puppy! Puppy Raisers should use these questions as a guideline when sending your monthly report. If living on campus, you must have this form complete with all signatures to house a puppy in your room. Prior to taking a puppy to class please ask your professor. This is a template you can use – just fill in the blanks!